ARVOO presents an unprecedented ANPR scan car and scooter solution: versatile, powerful and accurate. You choose your car, we supply the ScanGenius ANPR system. 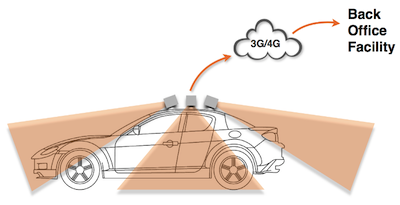 Within hours every car can be a powerful mobile ANPR scanner. The all-in-one ScanGenius ANPR system - processing units, GPS systems and ANPR & panoramic vision cameras - is uniquely available as ANPR Car Roof Top Box and Scooter Box. Every car or scooter can be turned into a powerful mobile ANPR scanner, within hours. We supply the ScanGenius ANPR Box system, you choose your vehicle. Simultaneous diagonal, parallel and perpendicular number plate scanning is supported. 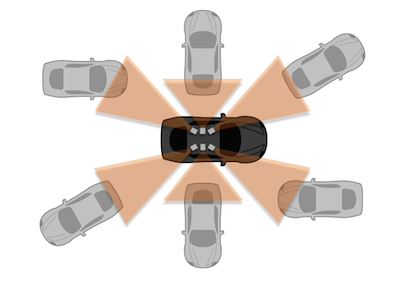 Multiple ANPR cameras perform simultaneous scanning covering up to 360 degrees. No number plate is left unseen. 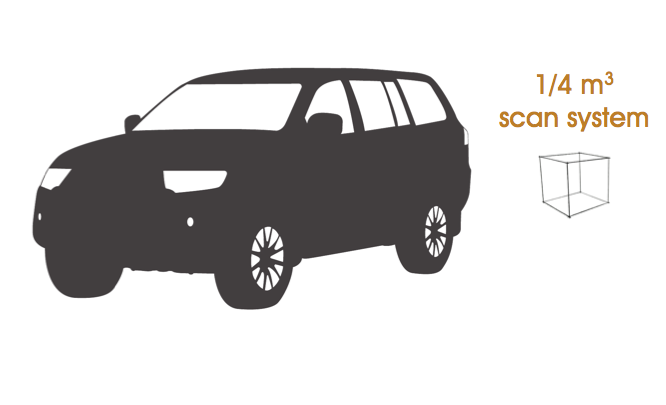 ScanGenius number plate information can be augmented with high precision GPS location. Different GPS systems can be integrated. The ScanGenius ANPR system supports GPS location precisions up to a centimeter while driving. The ScanGenius ANPR System support 360 degrees overview images/video. 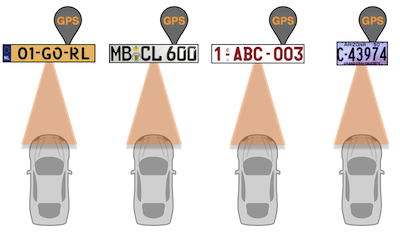 Next to number plate information, wide angle context information is now available as well. 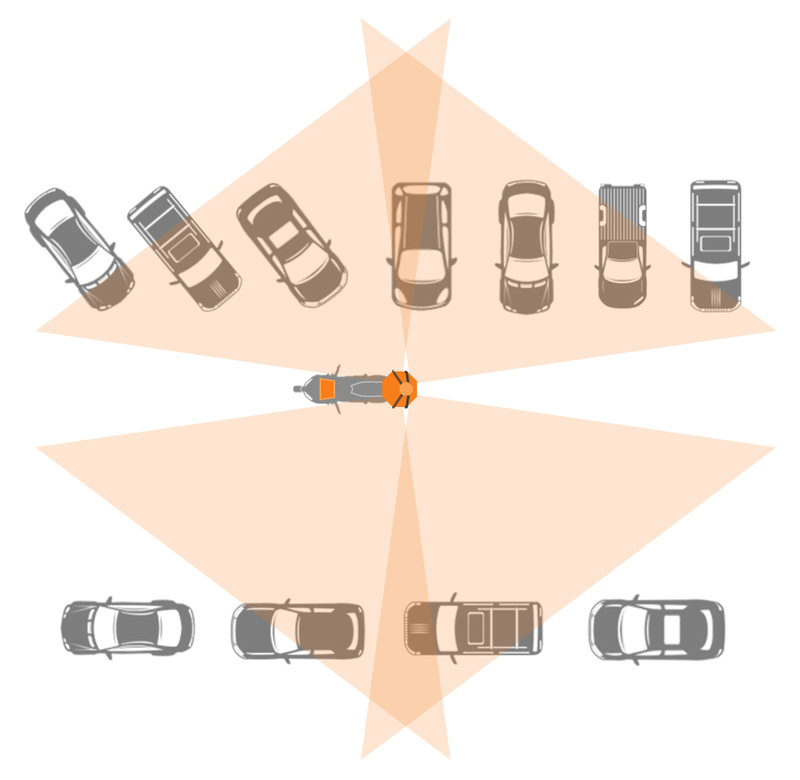 Giving you a clear notion of the area surrounding the parked cars as used by DeskForce, DeskTop and ImageReview applications. This information is used for automatic detection of e.g. street furniture and street signs as well. Amazingly compact and accurate car scanner. We love it! We wanted to design the most compact scan car system in the world by using state-of-the-art processing technology. We succeeded! The whole ScanGenius ANPR system fits into a roof top box, and even a cooter box: processing unit, cameras, and GPS; an additional suitcase-like power pack fits in every trunk when using a car, if using a scooter the helmet compartment is used. We deliver high quality ANPR data and deliver it to the Back Office of your choice. The ScanGenius ANPR system supports several standard protocols. We are ready to connect. Let's discuss how we can help you implement the SCAN GENIUS ANPR concept.